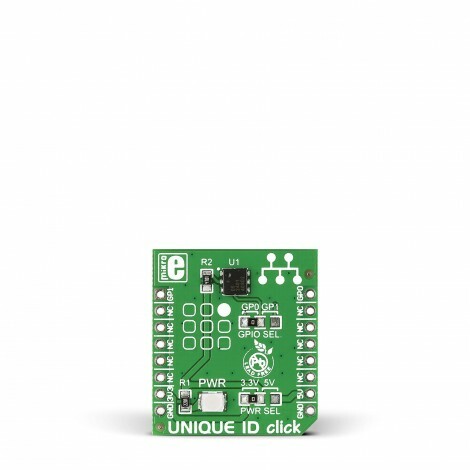 Unique ID click carries DS2401, an enhanced silicon serial number IC. It’s a low cost solution for providing a unique registration number to your design. Unique ID click carries DS2401, an enhanced silicon serial number IC. It’s a low cost solution for providing a unique registration number to your design. 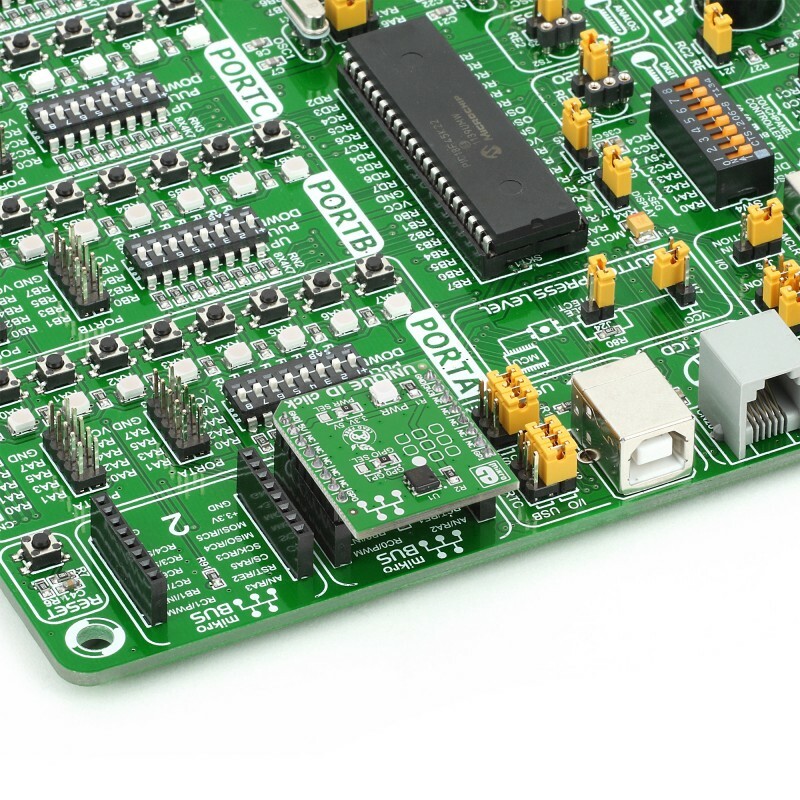 The chip consists of a factory-lasered 64-bit ROM that includes a uniques a 48-bit serial number, an 8-bit CRC, and an 8-bit family code. 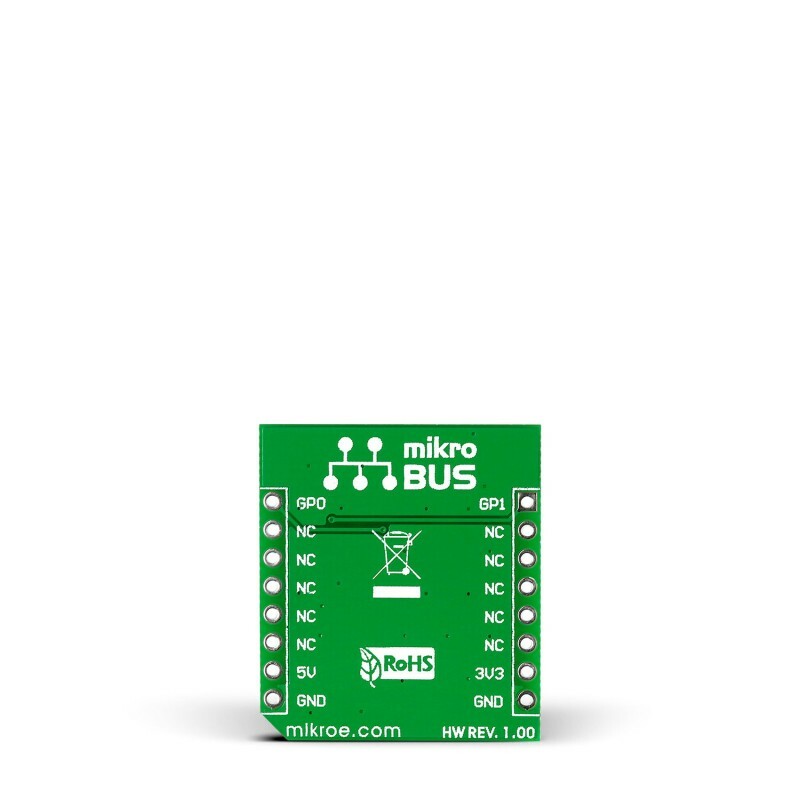 It uses 1-wire communications for interfacing with the target board microcontroller, either through a GP1 or GP0 pin (here in place of the default AN and PWM mikroBUS pins). 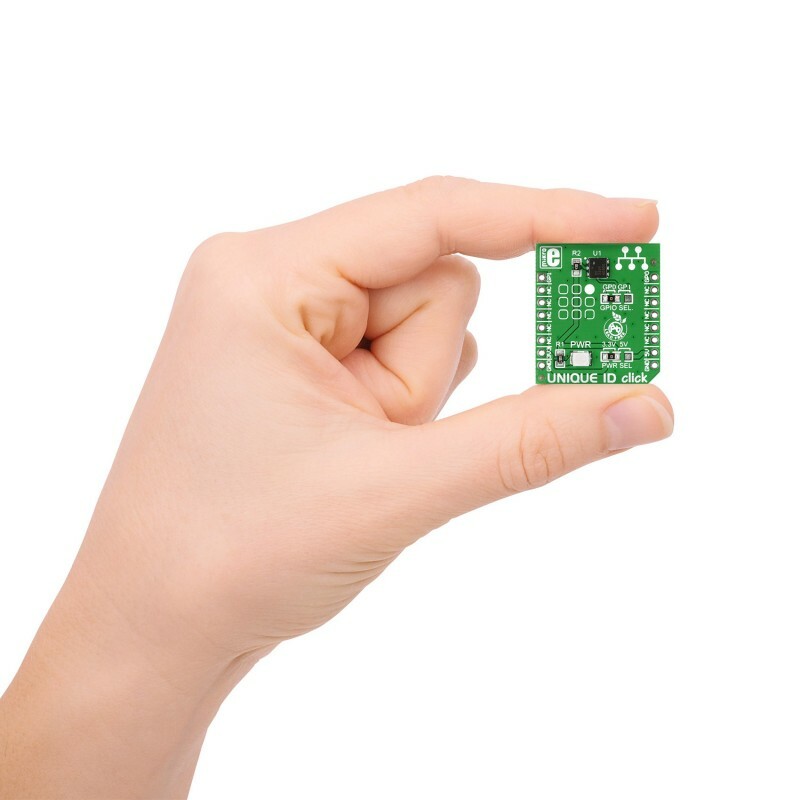 The board is designed to use either a 3.3V or 5V power supply.